A vacation in Southeast Sulawesi Province is worth a thousand of experiences because you may find tons of tourist destinations. One of them is located in Buton Regency, which is Wabula Village. 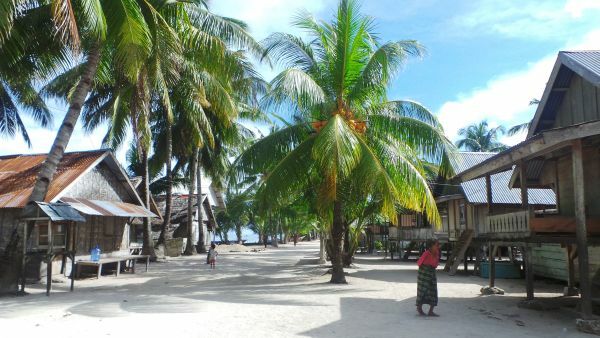 This settlement offers unique attraction, as tourists can meet the locals and learn their way of living. People in Buton live near to the sea, which means most of them are fishermen. Wabula Village is situated in about 25 km from Pasarwajo and it belongs to Buton Island. Thanks to its easy accessibility, tourists are able to reach the location without hassles. A unique part of Wabula Village is the local houses. The design is similar to that of Padang’s traditional house. It has a space between the ground and the floor of the house. Not to mention the materials are quite outdated. Even though many local houses apply such type of design, some of them have applied a modern architecture to their house. That means you may expect common houses, as well. What about the nuance? As mentioned earlier, the village is located near to the sea. That means you may expect some features like sea scenery, soft sand, and boats. The most interesting part of Wabula Village is the serene atmosphere, as it is located near to the sea. The formation of local houses is neat and the environment is quite clean, which provide a comfortable nuance to the visitors. Next, there is a formation of coconut trees, which appear tall and shady. It will be quite convenient sitting under those trees while enjoying the breeze of the coastal wind. Not to mention there are some gazebos, where you can sit and relax. Some locals also use the gazebo to bond with each other, in fact. The next scene to enjoy is the locals’ daily routine. As mentioned before, most of the villagers work as a fisherman. That means tourists are able to witness these people looking for fishes using different types of methods, including fishing, netting, shooting a spear gun, diving, and much more. Later, they sell those fishes to Pasarwajo District and their most famous commodity is Decapterus (ikan layang). As a tourist, you should carry some money to buy such fish and other commodities in Wabula Village. In the afternoon, female villagers often come to a particular location for weaving. It is true the village is also famous for its Buton Fabric. The thing is it takes about a few weeks in creating a perfect fabric and the price is about IDR 300,000 – 1 million. It depends on the quality of the fabric, motives, intricate level, and procedure. Wabula Village is located on Buton Island, which means your primary destination will be Buton Regency. From Kendari, take any available transportation service to Muna Island first. Once you get to Raha City, you can continue to Buton Island/Bau-Bau City. In this case, your last destination will be Wabula Village. The whole trip takes about 15 hours as the distance is 288 km. Despite a long trip, tourists would definitely enjoy it.